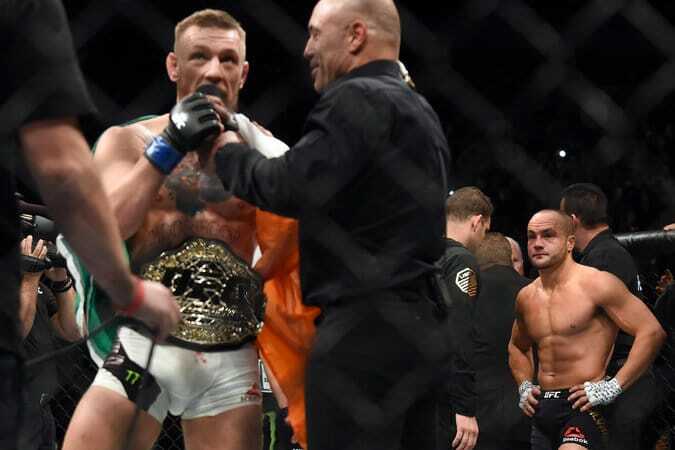 PHILLY’S EDDIE ALVAREZ POUNDED OUT BY MCGREGOR IN UFC 205! Philly’s Eddie Alvarez was in over his head last night. Conor McGregor backed up his big talk once again to become the first two-weight world champion in Ultimate Fighting Championship history with a knockout victory against Alvarez. 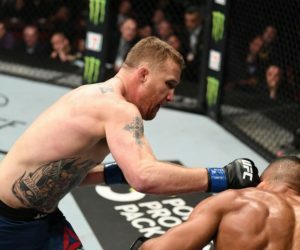 As UFC 205 drifted well past midnight Eastern time at Madison Square Garden, McGregor unleashed an unanswered flurry of four fierce punches to send Alvarez tumbling to the canvas, before referee John McCarthy stopped the fight at 3:04 of round two. The stoppage gave McGregor custody of the lightweight title previously held by Alvarez, to go along with his featherweight belt. 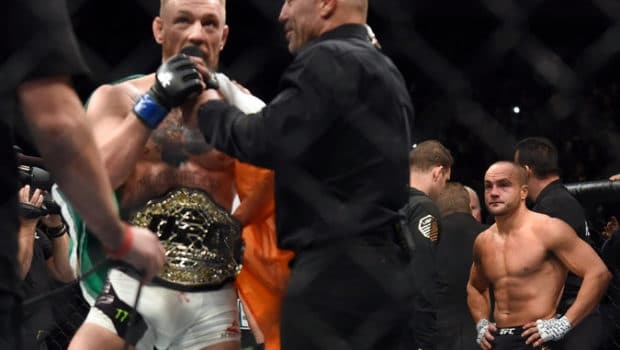 In the aftermath of perhaps his most memorable triumph, in front of a packed crowd full of Irish supporters, the 28-year-old chastised the UFC ownership for not immediately presenting him with both of the belts he now holds. Alvarez was never able to steer clear of McGregor’s straight left hand, and was dropped twice in the opening round. Next MCGREGOR IN MSG LEAGUE WITH GREATS, ALI, FRAZIER, SUGAR RAY ROBINSON! 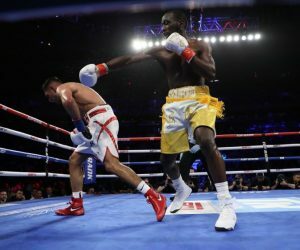 CRAWFORD TKO’S KHAN: NEXT UP, BOUT WITH SPENCE? 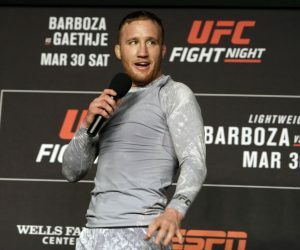 UFC IN PHILLY: GAETHE TAKES OUT BARBOZA IN 1!